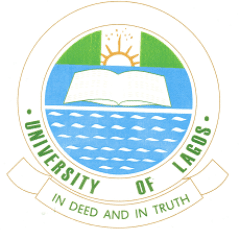 Authorities of the University of Lagos (UNILAG), School of Postgraduate Studies, invite applications from suitably qualified candidates from recognized institutions for admission into the various Postgraduate programmes offered by the institution for the 2019/2020 academic session on full-time and Part-Time basis. How to Obtain UNILAG Postgraduate Form. b. Online Payment: Click the Pay Now link to make payment directly on the portal with your bank debit card. • Candidates are advised to read carefully the requirements for their desired programmes to confirm eligibility. • Candidates awaiting Bachelor’s degree results and Nigerian citizens who have not completed the National Youth Service Corps assignments or are currently undergoing Postgraduate programmes are not eligible. • Holders of Degrees obtained from Outreach/Satellite campuses are not eligible. • All Academic Transcripts must reach the Secretary, School of Postgraduate Studies on or before the beginning of registration. • All M.Phil/Ph.D. candidates are required to contact the relevant Departments for availability of Supervisors/vacancies before applying. • Please check for the dates of Qualifying Examinations/Interviews on the website of the University of Lagos, School of Postgraduate Studies: http://spgs.unilag.edu.ng (from 8th July, 2019). For further information, please contact: Deputy Registrar/Administrative Secretary, School of Postgraduate Studies, University of Lagos, Akoka, Yaba, Lagos.